Learn to knead, knock, pummel and stretch your way to domestic bliss! Fill your house with the glorious smell of freshly baked bread. From savoury focaccia and nutritious brown to sweet fruit scones and gingerbread. We'll introduce you to the sensory and rewarding experience of bread making. These 1 day cookery classes take place Monday to Saturday from 10.00am – 4.00pm, with each class focusing on a single cookery theme. These lessons are either hands-on or demonstration type. All equipment is provided. 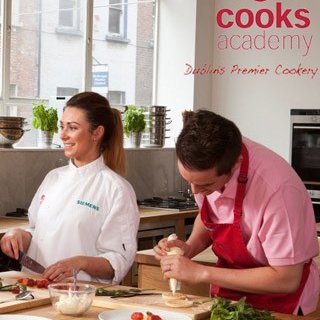 Cooks Academy is open 6 days a week, and is located at 19 South William Street, Dublin 2. Advance booking on AllGifts.ie is required. We are open year round, with classes scheduled 6 days a week. 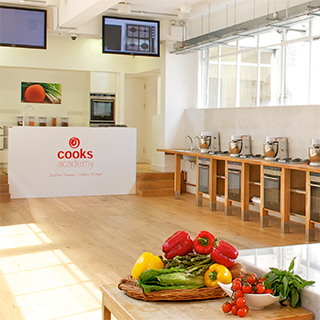 Cooks Academy Cookery School is located at 19 South William Street, Dublin 2. Cooks Academy offers a broad range of culinary programmes, short courses and wine courses geared for both enthusiastic amateurs and aspiring culinary and hospitality professionals. 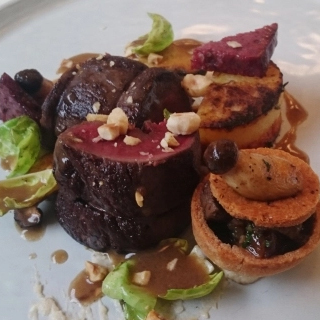 Centrally located in the thriving and bustling heart of Dublin's"Creative Quarter" on South William Street, Cooks Academy is just a stone's throw from Grafton Street. Cooks Academy numbers many of Ireland's top companies as clients who avail of the school's unique facilities, reputation and location to entertain staff or clients. 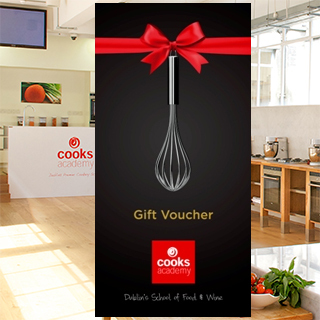 Cooks Academy was founded in 2005 and delivers more cookery lessons to more participants than any other cookery school in Ireland. From its world class facility and with a large resource of professional cookery tutors and guest chefs, the school does not lose sight of its core principals which remain reputation, relevancy and continuous improvement together with a focus on positive customer experience. 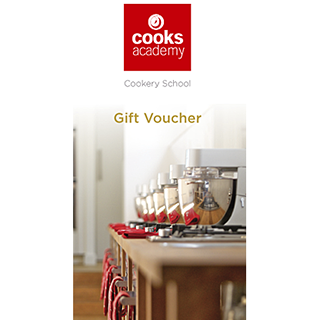 On ordering a cookery course or lesson, you will receive a email from Cooks Academy to confirm your booking.